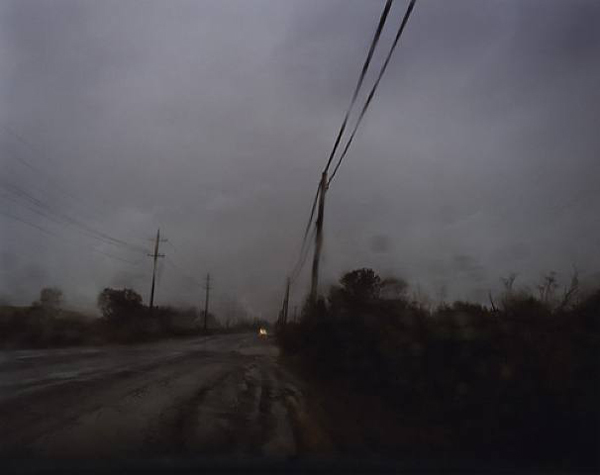 Todd Hido’s photographs present anonymous and ordinary landscape charged with a hauntingly atmospheric and menacing intensity. 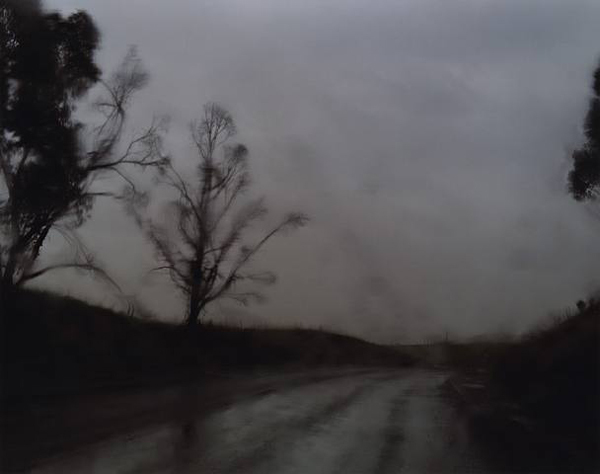 Hido captures a momentary shift in our perception of these isolated and innocuous places resulting from a confluence of variable elements of place, time of day, light and weather. 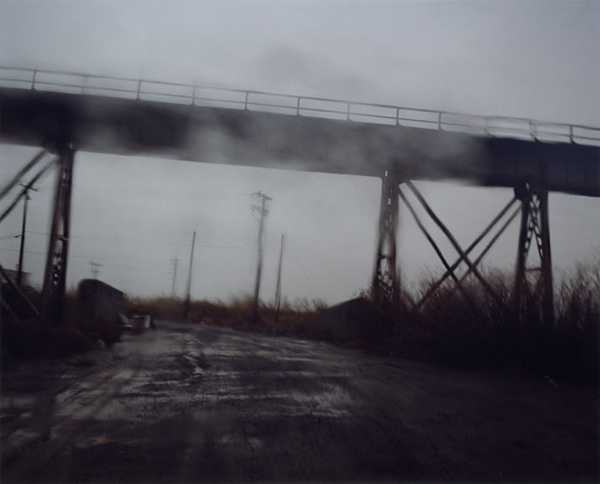 Wandering alone by car in areas on the edge of cities and towns throughout America, Hido seeks to record the transformation of the seemingly uninteresting to the theatrical, while evidencing his presence as witness. 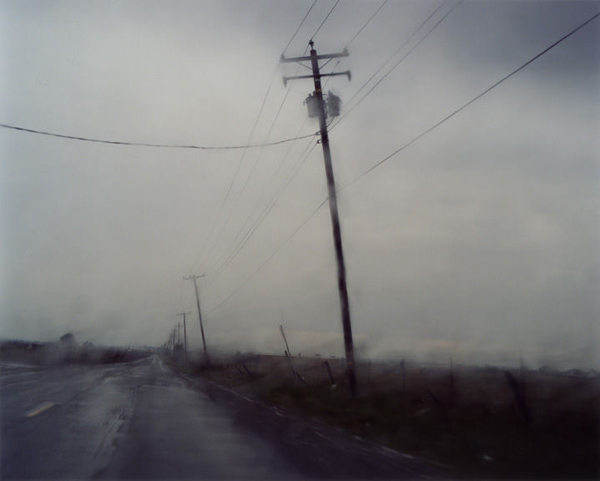 Hido takes continual road trips in places as far removed as Eastern Washington State, the California Central Valley, Indiana, New Jersey, and South Louisiana. 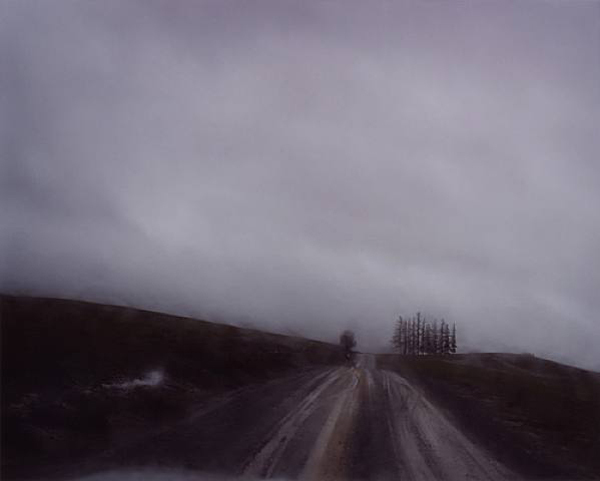 He locates unpeopled landscapes occupied by only by a few telephone poles, a single sad tree, or a road leading nowhere that transform and take on an unreal appearance in these works. 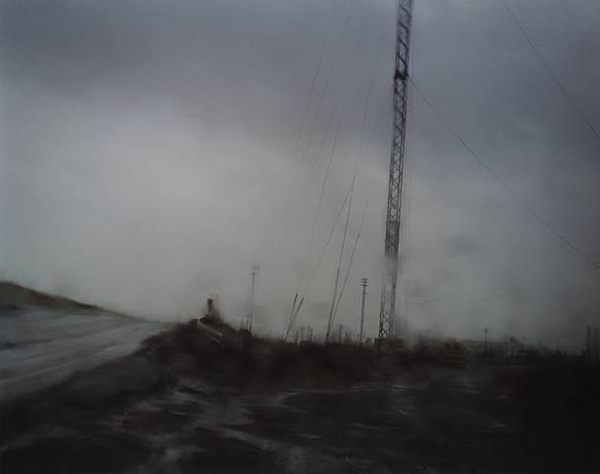 Hido often photographs from the driver’s seat and through the car windshield, evidenced in some works by the slight distortion from the glass, inviting the viewer to experience the photographer’s perspective of being on the inside looking out. your blog is a great source of inspiration.